Ababa - sprawled across undulating, picturesque backdrops. However, as an age-old inhabited land trying to turn its hand to modern infrastructural evolution, the overall balance serves up a treat for fortunate travellers. On the tourism side, the appeal comes from the former untouched, natural elements that best typify the country. However, for the growing business travel segment, the organic aesthetics are increasingly becoming an added bonus to the economic opportunities that await. And itâ&#x20AC;&#x2122;s certainly not as if the country is abandoning its roots in order to promote urbanisation. Rather, Ethiopia is optimising its reputation for agricultural prevalence to bridge the gap between the country and the rest of the world. Walia Tour and Travel offers a variety of services within the scope of the tours and travel industry in Ethiopia and provides package tours and VIP flights in collaboration with our sister company National Airways. Our intention of starting our tour and travel agency is to make profit from the industry and we will do all that as per the permitted Ethiopian law in order to achieve our business goals, aims and ambitions. The Business End CHIEF AMONG ITS exports remains the produce that Ethiopia is most famous for. As the birthplace of the coffee bean, the country still produces more coffee than any other nation on the continent; a continent that is renowned for its prowess in the sector. Broadening the analysis further, agriculture actually accounts for as much as 85 percent of the entire labour force, and while - inevitably - much of these operations are conducted by SMEs and small-scale farmers, there is a greater economic significance that derives from its success. resources have driven the country’s international appeal so much, in fact, that Ethiopia has had to introduce one of the continent’s most expansive and recognised airlines in order to cement this connection with the rest of the world. Ethiopian Airlines is a familiar presence in London, New York, Paris and any other major economic heavyweight you’d care to think of and, complemented by its equally extensive domestic network, it is the perfect indictment of how far Ethiopia has come on the global stage. Despite being located in the heart of the city of Addis Ababa, Sidama Lodge is an island of tranquillity away from the hustle & bustle associated with a capital city. Just down the road is our partner hotel at Atlas Square, the Sidama Inn is a beautful self catering hotel. 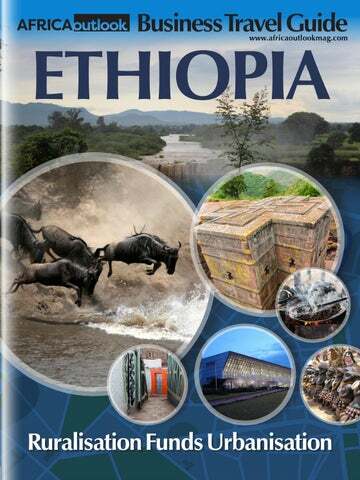 Out & About WHEN LOOKING AT the country from a business travel perspective, Ethiopian Airlines’ significance shines through even more prominently. While the country does inevitably have appeal as a tourist destination, the majority of visitors entering the country each year do so with tourist landmarks as a bonus in mind, rather than as the primary objective. Instead, business is often the reason for travel in the first place, and the major cities have responded in kind by creating a concerted - albeit authentic - offering across areas of hospitality, cuisine, leisure and transport. For those with plenty of time on their hands, the natural aspects are still the most spectacular feature of Ethiopia however. Its mountains, jungles, rivers, caves and UNESCO World Heritage Sites may be a far cry from the boardroom but are not as far geographically as you might think. barbecue, campfire and tent, then not to worry, there are plenty of those too. Predominantly staying true to its local traditions once again, cuisine embraces a mixture of meat, vegetables and spices and the national dish, Injera, is a must try! Peak city life is saved for the country’s urban accommodation though. As the aforementioned deluge of international visitors continue to grace the country’s shores, a host of market-leading hotel chains are responding with an offering up there with the best in Africa. The Ramada Hotel, Luxury Collection Addis, Reliance Apartment, Zeist Lodge, Abay Minch Lodge and Sidama Lodge give just the briefest glimpse of the diversity that now exists from a hospitality point of view in the country; ensuring that luxury, comfort, leisure, pleasure and business are all embraced within a locally-sensitive setting. Life is full of surprises, and we’re one of the happy ones. Because no matter why you’ve come to stay with us, we’re here to help you enjoy every minute. There are lots of hotels to choose from, but only Ramada puts our hearts into your stay. ramadaaddis.com | +251 116 393 939 YOU DO YOUR THING. LEAVE THE REST TO US.® ©2017 Ramada Worldwide, Inc. This property is independently owned by ADM Business Plc. and operated under a management agreement by Wyndham Hotel Group (UK) Limited or one of its Affiliates. Tropic Air Kenya FKLM Tours Ethiopia Habesha Tours & Travel National Airways Ethiopia Encapsulating the “spirit of a rising nation”, National Airways Ethiopia thrives as an industry leader virtue of its commitment to principles of quality, safety and respect. Catering for both passenger and cargo requirements in a country as well linked to the rest of the world as any in Africa, the carrier has proven itself a dynamic aviation facilitator putting its clients and people first. Operating out of the heart of the capital, Addis Ababa’s Bole International Airport, its variety of offerings across both aeroplane and helicopter travel means that all demographics of customer are catered for, in linking Ethiopia to more than 150 destinations worldwide. Explore Ethiopia, The Land of Origins! ETL Tour and Travel is a company with “interest based tour packages” that our clients find unique and intriguing. It is a company that is “One Stop to Magic“, a stop to the magical place called Ethiopia, a country named “Best Tourist Destination 2015”. ETL’s activities include Tour, Travel and Ticketing, Car Rent, Reservations and Booking services. Due to its “strategic alliance” scheme it has also extended to provide DHL services to its clients, businesses around the area and with a wider business relationship with DHL. 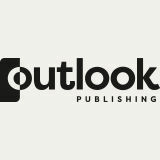 Outlook Creative Services Outlook Publishing’s awardwinning in-house team is now utilising its extensive production skills to offer a full and bespoke range of editorial, design and marketing services via its new Outlook Creative Services division. Hotel Lobelia is a family owned bouuque hotel located 3 minutes from Bole Internaaonal Airport and was built combining its staﬀ 40 years plus experience in the customer service industry. “A LITTLE PARADISE IN A BIG CITY” comments from the guest’s side. anyway, in which case your feet or the intra-bus services will suit just fine. But if your stay truly is a nationwide one, then the countryâ&#x20AC;&#x2122;s railways and aforementioned flight connections are more than apt. Back in Addis Ababa though, should your stay be medium-long-term, then the car may be the best way to go. Buses are comprehensive and cheap but are also slow and often wait until they are full, rather than adhering rigidly to timetables. And with a car, you can always go that extra mile to explore the less urbanised areas too!